Big House is Ready to Serve You! We are locally owned and operated. We serve greater Northwest Ohio including Toledo and surrounding areas. 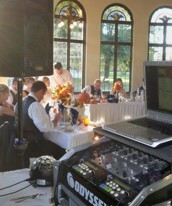 Contact Big House DJ Services by using the "Contact Us" link or calling 419-872-0465. Specific answers to many DJ questions can be found on our Frequently Asked Questions page. We have a full Play List section providing the majority of our song selections available to you at an event. 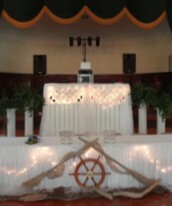 We are always ready to set the proper mood for your event! Use the Check Availability link to see if your date is available and click over to see a list of some of the places where we have played in the past.